We are seeing a massive change in how organizations identify, procure, and implement Information Management solutions and services. 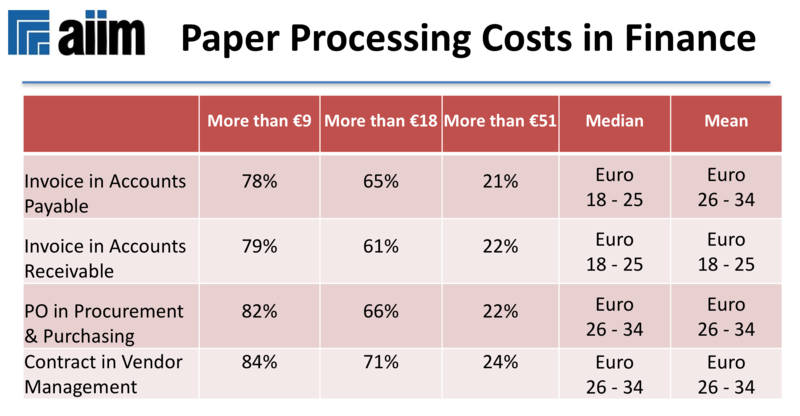 AIIM published earlier this year a research report identifying marketing and sales strategies from top vs poor performing solution and services providers. 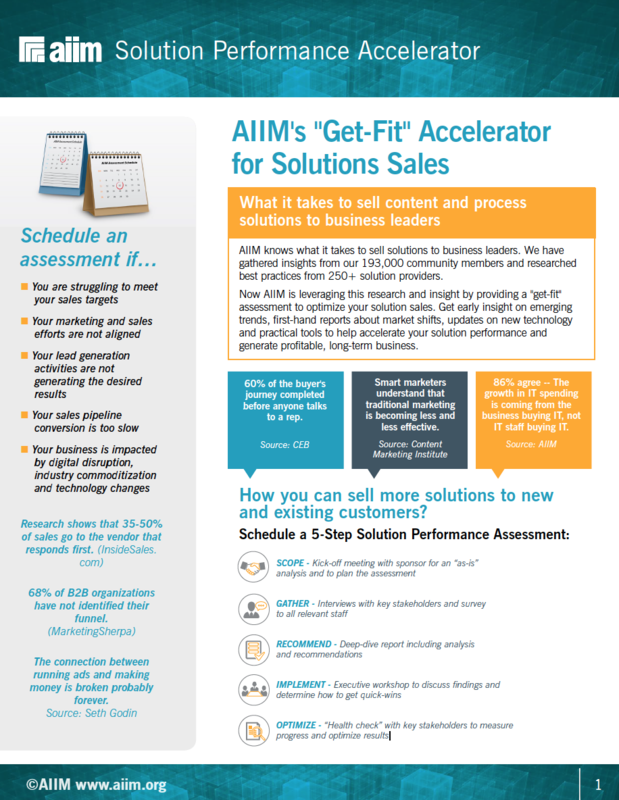 We have developed together with the association AIIM a Solution Sales Accelerator to improve your demand generation and solution sales. 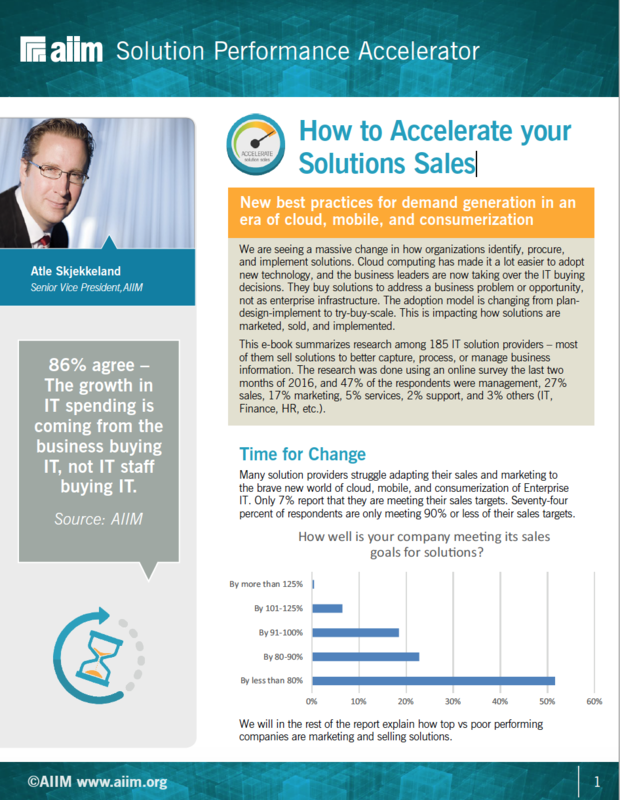 The Solution Sales Accelerator is a short consulting engagement based on research from their 193,000 community members and 250+ solution providers.